High-Availability Directory Access Protocol (HDAP) is the newest system compared to traditional LDAP. 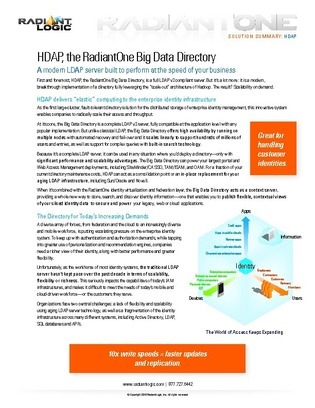 Servicing over hundreds of millions of users and having heightened availability, HDAP is the way to go for storing the data of enterprise identity management. This solution prides itself on elastic computing, scalability, and performance.